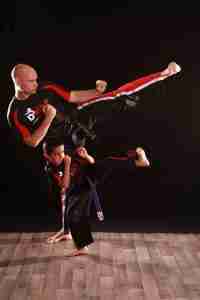 » Would Kickboxing Suit You Better Than Martial Arts Training? If you want to get fitter and healthier and be able to defend yourself, martial arts training would be the first thing to pop into your head. But if this isn’t quite your thing, maybe kickboxing would be a better option. There are some clear similarities between the two. Kickboxing is basically a mix of martial arts and boxing, with some aerobic activity thrown in for good measure. It’s this unique mix of disciplines that makes it more appealing to people who don’t necessarily want to focus just on martial arts. Aerobic exercise describes a form of exercise that focuses on improving the efficiency of the cardiovascular system. As such, kickboxing combines the best bits of all three of these areas and disciplines, rolling them together into a package that improves your fitness levels as well as helping you learn to defend yourself. The classes are demanding, but that’s part of their charm. Many people will say they’re completely exhausted after their first class. This is purely because they’re doing things they wouldn’t normally do. But as they progress through more classes – perhaps one or two per week – they start to improve their fitness. Other things also improve, including balance and endurance. Kickboxing is known as a good calorie-burner, and you’ll notice how easy it can be to tone up and look better and better the more you manage to do. So if you’re wondering whether martial arts are a little too much for you, maybe you should consider kickboxing instead. We’re always happy to answer any questions you might have about these classes, and what to expect when you join. But if it’s all-round activity and a good workout you want, kickboxing does give you all that and much more as well. 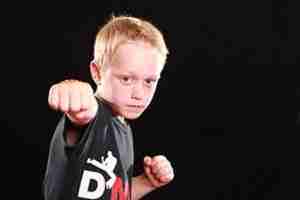 Previous Post How Martial Arts Can Improve Your Child’s Self-Confidence! Next Post What Do You Specialise In?